Congratulations to our recently retired faculty members! 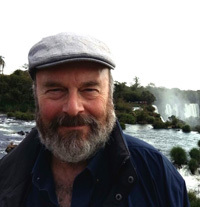 John Thorp taught in the Department of Philosophy for over 25 years and was a member of the Rotman Institute of Philosophy. His research focus is in the areas of ancient philosophy, free will and philosophy of religion. He is the recipient of numerous awards including the prestigeous Ordre des Palmes Académiques (2008) and Western University's Edward G. Pleva Award for Excellence in Teaching (2002). "The high standards of my department in graduate education and in research have been a constant throughout my quarter-century at Western; they have given me many rich and happy memories. Something else, though, has not been constant, but rather a site of dramatic change. When I came here in 1992 Western was the “party school” of Ontario. Generally, across the university, undergraduate admission averages were in freefall, and a large proportion of our students opted for a three-year “pass” degree. Thanks mainly to the work of our transformational president Paul Davenport, that situation has reversed 180°: in some disciplinary areas our admission averages now lead the province. This has made for a palpable difference in day-to-day classroom work, and for a reassuring sense of comfort in the soundness of the institution. Watching this change take hold has been a very profound pleasure." 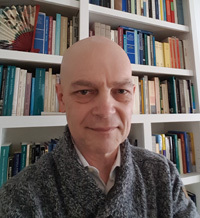 Lorne Falkenstein's research focus is in early modern philosophy with an emphasis on 18th-century British philosophy, and on issues of spatial perception and mental representation throughout the history of philosophy. 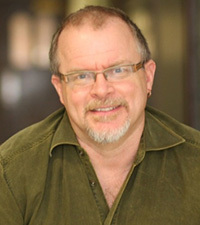 He is the recipient of numerous awards including the Western University's Edward G. Pleva Award for Excellence in Teaching (1998) and the Graham & Gale Wright Distinguished Scholar Award (2008). Steven Bruhm taught in the Department of English and Writing Studies and held the title of Robert and Ruth Lumsden Professor in English. His areas of research include Romantic fiction, gothic aesthetics, queer narcissism, sexual children, dance--all welded together by an interest in the body. He is the recipient of numerous awards including the Graham & Gale Wright Distinguished Scholar Award (2011).